Do Unschoolers Use Curriculum? Come find out! 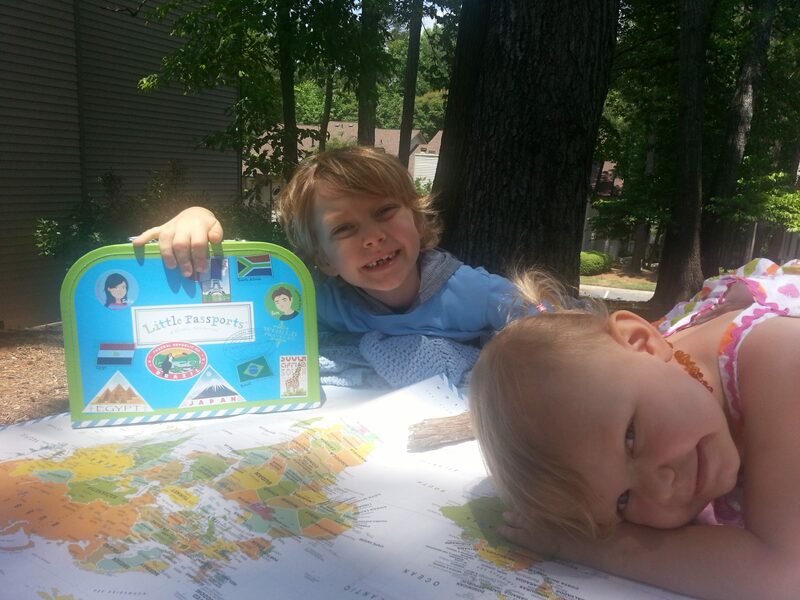 You are here: Home / Homeschooling / Do Unschoolers use Curriculum? It’s that time of year when many homeschoolers are looking at curriculum for the next year. I, myself have been in that place…worrying over my choice and if it will be a good fit for my child. It can be a stressful place to dwell. I too have purchased the lovely expensive curriculum only to realize a few weeks into “school” that I had made a mistake. My child and I ended up feeling frustrated, angry, and defeated. So, there sits that box curriculum, still…on the shelf, with many others that never worked for him. Before you stress out, remember this…. No one method of eduction works for everyone. Homeschool is a very personal choice. Every family is different. No child learns exactly like another or at the same pace. We are Unschoolers. We follow our son’s interests and never force learning. He learns what he wants to learn. This is our choice. With that said, here is my list of 10 things we cannot live without in our Unschooling journey. These are things my son chooses to incorporate into his life. That’s right, he chooses. I hope you find something here that will work for your homeschoolers as well. Books, Books, and more Books! If you don’t have a library card yet, go get one! We have found so many treasures at our library. My son chooses whatever he wants. Some days he may come home loaded down with books about dragons, other days he may come home with nothing but books about China or Climate Change. I just never know with him! Several books, had to be purchased because my son loved them so much and didn’t want to give them up! This was a lucky find when we were going through curriculum’s. My son adored this book and requests it regularly. He looks forward to the second in the series. Now, this is by no means the only science my son is exposed to, but he enjoys the story of the Sassafras twins. Another lucky find while still in our curriculum stage. My son enjoys the adventures of the 5 year old math teacher, Fred and his doll Kingie. Click to get Life of Fred at 15% off! We love the Audible App on our Ipad. Many times when my toddler goes down for her nap, I will put an audio book on while my son builds with his Legos and I clean the kitchen. We are currently listening to The Fellowship of the Ring by J.R.R. Tolkien. Chess, Checkers, Monopoly, Sorry, UNO, and Scrabble are just a few of his favorites. I don’t know how we would get through the day without the internet! The questions my son asks…. Some days he asks me the scientific name of prehistoric pigs. Yesterday he asked what Ear Wax was! Today he asked what made up gold! For those of us without an encyclopedia, the internet is our best friend. It’s also great for looking up experiments! Today we made Borax crystals because he saw it on the internet. Oh, and lets not forget documentaries! Those are staples in our house. We discovered this last year when we started to embrace a more unschooling lifestyle. My son LOVES Sam and Sofia. Yesterday we learned about Thailand! We usually dig a bit deeper than the information that is given. My son likes to know if any fossils are found in the countries he is studying and he likes to learn about any interesting animals there as well. We try to go to one of these every week if not more. There is so much to learn from nature. In addition to regular admission, these establishments usually have homeschool days as well. Also, once my son turns 8 years old, we will be able to volunteer at the our local zoo! He is super excited about that. Earlier this week my husband and I talked with our son about everything he is learning, if he was happy with the 10 items above, if we should change anything or add anything. For example, does he still enjoy Little Passports or does he want to move on to something else… He was very adamant that he didn’t want to do away with anything. He did suggest, however, adding in a few more STEM and experiment type activities. We researched together and he is very excited about what we found. So in the coming month we are going to try out the following: Groovy Lab in a Box, Think Fun Maker Studio, K’nex, Magic School Bus Science Experiments, and Tinker Crate. 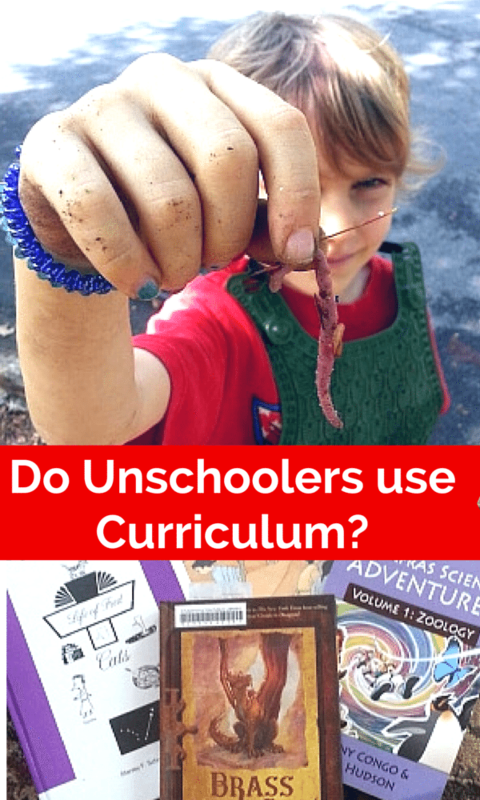 So, do unschooler’s use curriculum? I cannot answer for others. We have found that our son learns best when he isn’t forced into learning, but gets to choose for himself. Whatever that looks like. I feel that is the important thing. Find what works best for you and your child and do that. 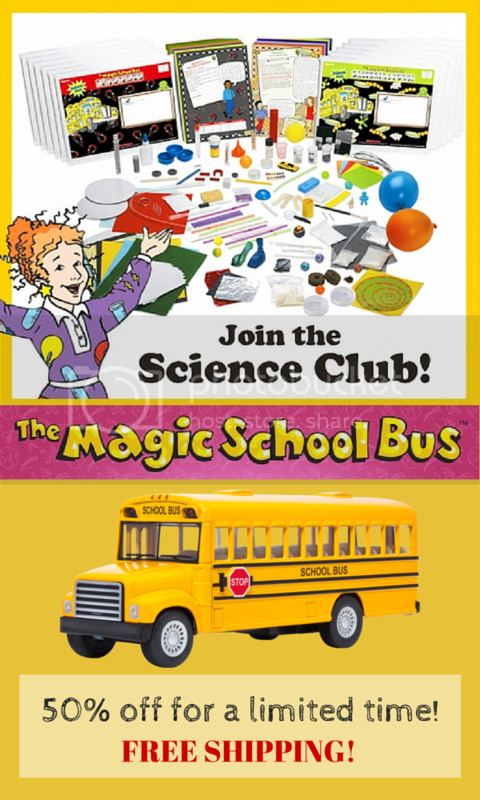 CLICK HERE to get the Magic School Bus Science Club for 50% off for a Limited Time! Good reminders and tips for those who are looking for resources. We use many of these too. Interesting! I’ve always wondered how Unschooling “looks” and this was a great description. I think it’s awesome that you let your son’s interests guide his learning. I work full time outside the home so my kids go to daycare, but I do supplement my kids’ preschool learning at home with activities they find fun. You really can’t make young kids learn if they’re not interested. Great points in this post. We aren’t official unschoolers, but I am interested in incorporating some aspects of un-schooling into our home. This list is super helpful! This was such a great article! Our son will be starting Kindergarten this next year at our local charter school. It’s a hybrid program where he’s 3 days site-based learning and 2 days at home. I’m really excited to start this with him and found this very informative, thank you! I went to college for education & love that I can facilitate learning early with my kids. Even though they are both 3 and under, it’s wonderful to have resources that aren’t “school” that can engage kids! Thank you for sharing! Those items look really interesting! 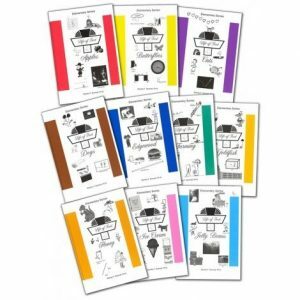 I was curious about the Life of Fred math books because my oldest is an out-of-the-box thinker. He is very kinesthetic and I realize when he wants to learn a topic, he goes all out! I have tried to put him in a curriculum that works, but it usually doesn’t. 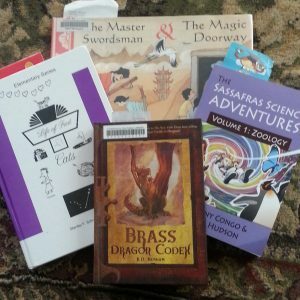 I have gotten ideas from KONOS Character Curriculum, Sonlight, My Father’s World, and other things and find I never really follow them, and so I kind of move through subjects and see what works for my kids. This has led my oldest, espceially this year, into the areas of Frontiersmen, like Lewis and Clark and Daniel Boone, and Native American Indians beyond what I would probably have taught him. Then, after getting tastes of those topics, that has led him to this own study on survival in the wild. Then his grandparents bought him an old boyscout manual, and he bought his own tent and wanted to begin camping out! We have been getting books from the library on survival, boyscouts and how it started, etc, and he is eating them up! It has been interesting for him, and for me! This year we plan to use a curriculum as a spine (Exploring Countries and Cultures from My Father’s Word) and have looked at Little Passports as an optionto supplement it. After discussing this with the three main kids and what their interests, it may be an option and I know we will be going off to go into the culture, the food, the animals, etc and that My Father’s World goes through habitats, etc. It’s interesting that homeschool is really what you make of it and what interests your family and individuals. One of my kids loves to bake and cook and research animals. Another one loves art, baking, and cultures of people. Another loves science,building, cooking and anything hands on and so it’s going to be interesting to see what happens each month and what my kids come up with! And since I have used a variety of curriculums and I have done it for about 5 years do far, I realize that I am a mix of things and I enjoy going off the regular for them to explore interests and seeing that, yes, we are still hitting standards! It always amazes me. I think Math is our only low point, so I may try to check out that Life of Fred. When I looked on Amazon at the Zoology book I was wondering if you read something from that book to the kids or is it a guide to other books you need to read? Great post. It’s awesome when we can combine our passions of the kids with learning. 🙂 I’m kind of a very big mix of variety in our house – I love to let them learn what they’d like. PS. Check out http://www.prodigygame.com – it’s free. 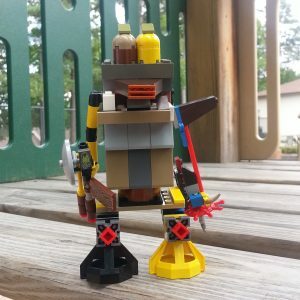 It’s an online RPG style math game where the kids battle creatures and other kids by answering math questions in order to damage their enemy. It’s a great resource and you can pick grade levels, etc. Thanks Elizabeth! We just tried the Sassafras Science adventure book because my son loves adventure books. Its a very exciting story but they also throw in the science facts. We found that whenever we get to an animal in the book we also go look it up more in depth on the Internet. Thanks Rachel! Please do check them out. Thanks Rebekah! Looking forward to seeing you there!